Superior quality Non genuine spare part made to fit selected Miele vacuum cleaners. Choose a manufacturer to reveal the models that the part Miele Vacuum Cleaner Dust Bags Type FJM x 5 + 2 Filters 3D Efficiency is suitable for. Search our range of Miele Vacuum Cleaner Dust Bags Type FJM x 5 + 2 Filters 3D Efficiency UFIXTSDB331 by Ufixt models by entering your model number to perform a search. 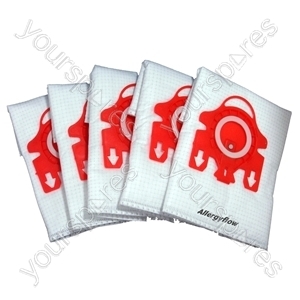 Write your own review of Miele Vacuum Cleaner Dust Bags Type FJM x 5 + 2 Filters 3D Efficiency. Excellent service. I was kept informed of delivery and on arrival product was just what I had ordered and wanted"! You menion filters are included, are both the Air filter & motor filter included? Hello Caroline, Included are two rectangular material sheets. I would like to get the confidence that use of these bags would not affect the performance of the Miele vacuum cleaner I recently bought, in the long run. The GN bags are the correct ones for your model, please see link below. 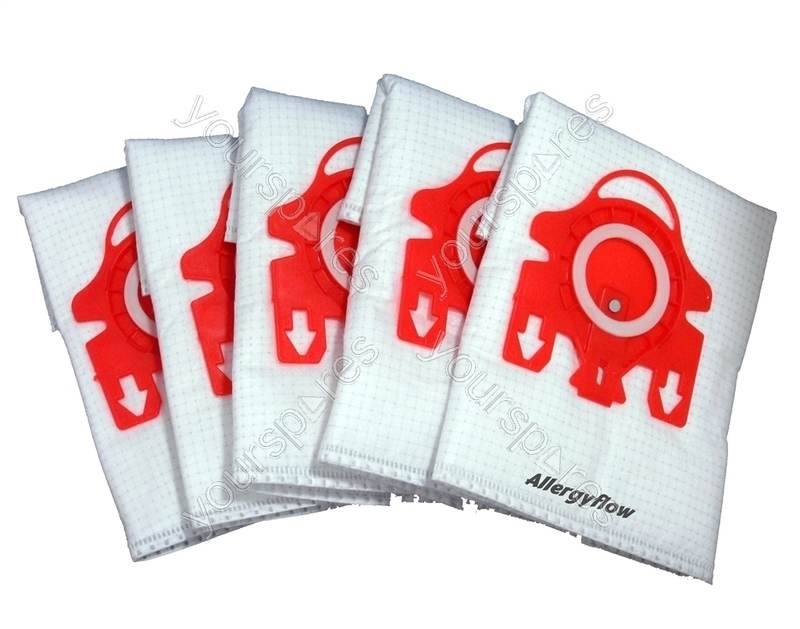 These AllergyFlow dust bags will last up to fifty percent longer than the standard paper bags and provide better filtering, meaning your home is a healthier place to live. Why choose these Miele equivalent vacuum bags? The external layers will ensure the bags do not split and provice a tear resistance second to none, this in turn will also protect all of the internal layers. So just what are the advantages of using these miele fjm vacuum bags? Fifty percent extra life: These vacuum cleaner dust bags have fifty percemt extended usage because the dust is sucked in and absorbed without blocking the pores,this significantly reduces any loss of power from your vacuum cleaner. The synthetic material bag adjusts to fit the bag holder compartment which means the bag will not need emptying until it's full, this really helps reduce the cost of the bags as paper bags often need changing when they are just half full. MORE POWER FOR YOUR VACUUM CLEANER: Because the material ensures maximum air and evenly distributes the dust which has been collected your vacuum cleaner will maintain maximum power for much longer. 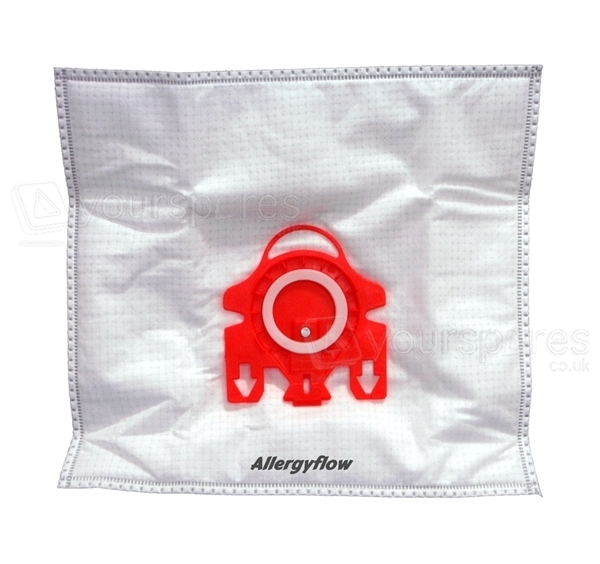 EXCELLENT FILTRATION: Allergyflow material will filter the air that the vacuum cleaner uses back into the room removing any nasty smells that are usually common with vacuum cleaners. Because of the filtration system less dust is exhausted into the rooms which will often end up on furniture and doors. 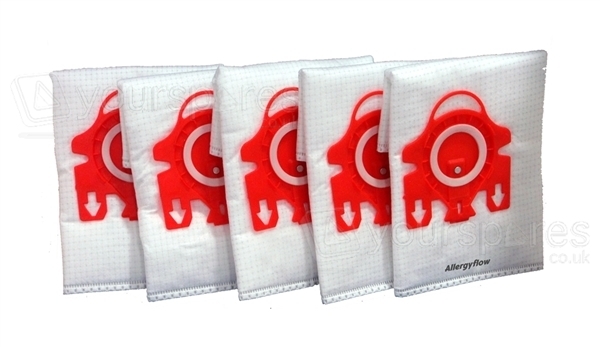 Because of this filtration system used in these bags households are left cleaner and forty percent less dust is left in the air, this makes this product perfect for allergy sufferers. EXCELLENT RESISTANCE: Due to the high quality material used for these vacuum cleaner dust bags it means that items which are not usually acceptable for vacuuming can be sucked up without worrying about the bags splitting etc. Glass and small amounts of liquid will not cause an issue any more. 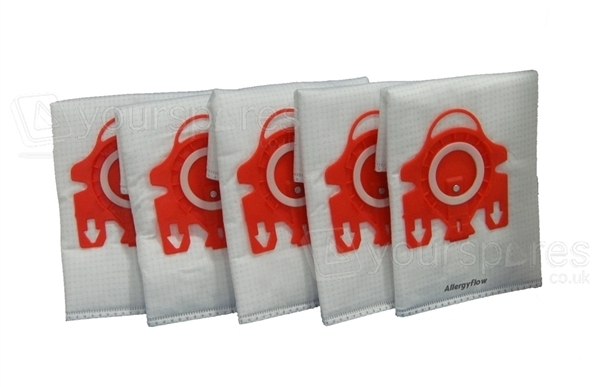 SINGLE USE ONLY: These vacuum dust bags are for single use only so should not be emptied and refilled. The material is made of polypropylene and this material is suitable for burning and will release no harmful toxins.